The main event at UFC 146 could be scrapped after No. 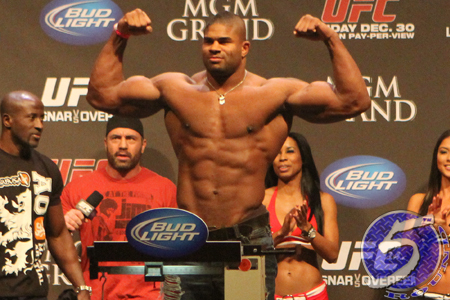 1 contender Alistair Overeem flunked a surprise pre-fight drug test. According to executive director Keith Kizer, the Dutchman registered a Testosterone/Epitestosterone (T/E) ratio of 14:1. The NSAC allows a T/E ratio of 6:1. Several plan B options have surfaced, but Frank Mir and Cain Velasquez can be taken off the list after UFC president Dana White said the former champions will still co-headline the same card.